I always pray with joy because of your partnership in the gospel from the first day until now. On the Sabbath we went outside the city gate to the river, where we expected to find a place of prayer. We sat down and began to speak to the women who had gathered there. One of those listening was a woman named Lydia, a dealer in purple cloth from the city of Thyatira, who was a worshiper of God. The Lord opened her heart to respond to Paul’s message. When she and the members of her household were baptized, she invited us to her home. After Lydia was baptized, she immediately started doing things that Christians should do. After she invited them into her home she said, “If you consider me a believer in the Lord, come and stay at my house. And she persuaded us” (Acts 16:15). Also the conversion of the jailor presented another member to fellowship Paul in his evangelistic work (Acts 16:29-34). Both Lydia and the Jailor showed hospitality to Paul and supported his evangelistic work. This all Christians should do. When Paul left Macedonia, Philippi was the only church that shared with Paul in the partnership of giving and receiving. They sent him aid again and again (Philippians 4:4-16). No wonder that Paul could remember them with thanks and joy when he prayed to God. 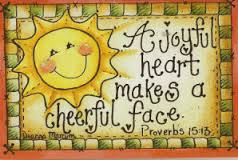 May God help all of us to find the joy that is found in Christ Jesus and the way of life we are to live? Remember, “For me to live is Christ and to die is gain” (Philippians 1:21). Again, “Rejoice in the Lord always. I will say it again: Rejoice! (Philippians 4:4). Let us all live and pray in the joy of the Lord.